Thank God It's November; Thank God it's Friday; Thank God I Finally Read Things Fall Apart. Oh-Em-Gee, it's actually November already. Happy November! And oh, It was Halloween yesterday. I understand that some people don't believe in Halloween because it celebrates the dead or something like that. Is it really weird that I could care less about whether it celebrates dead people or evil spirits, and that what really irks me about Halloween is little children going around begging for candies? I mean, I would certainly not say no to a child asking me for candy but I don't like the idea at all. I was talking about it to my Dad some days prior to Halloween and I think I mentioned that I may never allow my own future kids go around begging for candy from strangers and he said I would never want to hurt my kids so much because its an old tradition and every child wants it. Hayyyyy, I hope it doesn't feel like I've abandoned my blog oh, nah I have not. I just never want write when I don't feel like it. No pressure or anything, this is just a place to express myself in anyway I can, to keep my mind busy and to just do something I love to do. So, I usually want it to come naturally. Now the main reason for today's post *rubs palms* Shall we? Chinua Achebe's Things Fall Apart. I like it when I start a book and never want to drop it. Hehe. And frankly, this is more likely to happen to me with an African author than with foreign, assorted authors. I got the eBook-eBooks are the new cool-and wasn't sure if what I had was the complete version. So, of course I asked my Dad if he knew how long or short the book is. You should have seen the look on my father's face when he found out I was reading the book for the first time in my life. Surprisingly, I actually was just reading it for the first time ever. I don't think his expression implied that I was an avid reader as much as it implied that the book was so world famous that it was quite an abomination for a twenty something year old to never have read it. He even asked me how I went through secondary school taking Literature and never read it. Excuse him, but I went to school in the twenty first century. Okay, that doesn't quite cut it since we read Hamlet. But apologies to you Achebe's fans but I think we read even better books in school. Emecheta's 'Joys of Motherhood' is still stuck in my mind. OH! that book. Anyway, one thing I couldn't get off my mind while reading Things Fall Apart was "WHY?" Why was the book such a hit, so much that some people still think it was the best thing to come out of Africa? I know, I'm sure it is a good read, I just need to know what is so fantastic about it? It did have a huge international acclaim and I just need to know why. I am genuinely asking, not because I'm a literary genius or anything (I'm not), I'm just curious as to what makes that particular Achebe's book different from any other book. Frankly, Achebe portrayed an African man as one who acts, and then thinks later. Okonkwo (main character-I don't want to call him the protagonist) was so insecure and overly scared of failure that he failed to really appreciate the most important things in life. My Dad thinks that's the exact reason the book was such a hit; that westerners love things that portray bad images of Africans. This WEBISTE described it as " the most illuminating and permanent monument we have to the modern African experience as seen from within." For some parts of the book, I (a Nigerian) was distracted and maybe even irritated by some of the so-called cultures that were described. Why do we refuse to accept that CULTURES DO NOT MAKE THE PEOPLE, rather,WE THE PEOPLE MAKE THE CULTURE? We should not go about doing barbaric things and blaming it on 'culture.' If an act is inhumane or point blank stupid, stop it, don't call it culture. I digress. In his lifetime, Chinua Achebe was so proud of that book that when 50 cent wanted to use the same title for a movie, (he was going to pay Achebe) he refused. Ugh. I was talking to my friend, Ugo yesterday about Chimamanda's Americanah and how desperate I am to read it. He told me how he felt Adichie, just like her role model, Achebe manipulated her characters too much. And, I agreed. I see a lot of Achebe in Adichie. I prefer Adichie's books though. There's an interesting relationship between the two; Chimamanda Adichie's family lived in a house just after Achebe and his own family had lived in the same house in Nsukka. Please don't ask me how I know this. Lol. It's no surprise Adichie was so in love with him. Which leads me to my next question. I should write a disclaimer first; I didn't hate the man ohhh and this isn't racism or tribalism, I didn't even know too much about him anyway. My question is why were people calling him "hero' when he died. It certainly was not only me that saw "R.I.P to a great Nigerian hero." "Another hero has fallen." "Oh Nigeria will feel your impact." and so on and so forth. How was he a hero? Literary hero, maybe but national hero, how? In the twenty first century (before you say I've not read my history books please note that the 21st century started in year 2001) one of the biggest challenges we faced as a nation started on the first day of 2012 and went on for a little over a week during the subsidy protests and the mini revolution, when for the first time, Nigerians came together against our leaders. There was no Achebe in sight. I don't think I had ever seen him prior to that in matters concerning the affairs of the nation. Besides the literary world, I'm not sure he ever had any impact on the nation. Please educate me if I'm wrong. But I don't think I am. If that is true, so how exactly was he a hero? Instead, he released a book that if taken much more seriously could have had adverse effects on the already volatile Nigeria. I thought the Ibos had outlived Biafra and had moved on? I have not read the book but I heard specific names were mentioned. I should attribute this to the issue of people wanting desperately to say fantastic things about a person when he/she is dead. Ha, I read an article by Wole Soyinka where he said people were furious Achebe never won a Nobel Prize. In fact, several people suggested Soyinka should speak to the organizers of the Nobel Prize and ask them to award Achebe a posthumous Nobel Prize. Loooool. Jokes apart, Things Fall Apart is arguably a very interesting novel, it just didn't meet up to the high expectations I had of it. Not that my opinions matter anyway. And please, we need to stop with our petty sentiments already. In a nutshell, that's how I spent my Friday night; reading a book and partially re-watching season 5 of Gossip Girl with my sister. Am I boring or am I boring? 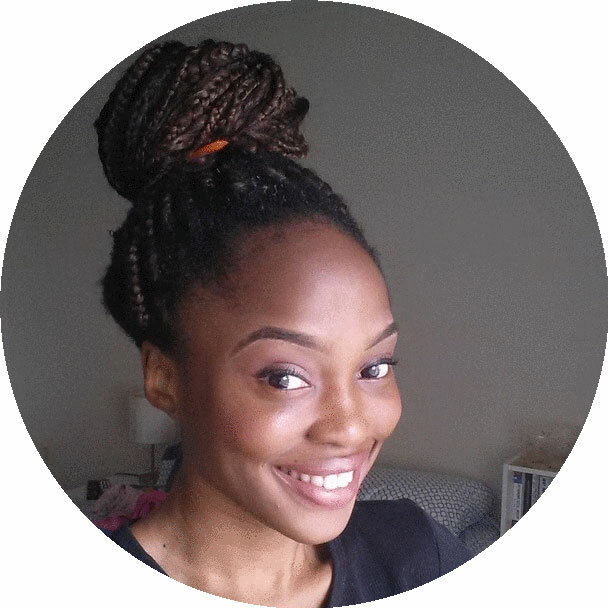 Ifeoluwa, my beautiful daughter: Wow…what an interesting piece you wrote here! I was in Form 3 (American 9th grade) when I first read Things Fall Apart. Even at that age, I was stunned by the savagery of the protagonist. Well…obviously, the author wanted to portray him as a “strong-willed” man. Why is it that the only authors and books of African origin that are acknowledged and celebrated in the American media are those with negative stories? They are the books on African ugly past, civil wars, child soldiers, human trafficking and other social vices. The more gory and pathetic the story-line, the greater media coverage the book gets. For instance, two categories of story-lines that enjoy continuous accolades from American readers are; one that gives a portrayal of the African man as a savage who will act first and think later while the other paints the African man as a philanderer who drinks his life away. Without mincing words, an example of the first category is “Things Fall Apart” by Chinua Achebe and “The Palm Wine Drinker” by Amos Tutuola is an example of the second category. Ironically, in the glorious days of Oprah Book Club when a book by an African author was eventually selected, it turned out to be a book about some prostitutes in Africa. This was in spite of the abundance of several great books that either celebrated African dynamic cultures, values and love for education or those books that documented the political emancipation and self-determination of the African people. It’s no wonder therefore that a whole lot of writers with African origin have since resorted to the sad habit of “playing to the gallery” by writing what the Americans want to read --- for financial gains. There are two losers here; first are the authentic and positive African stories that never attract the interest of publishers. And second is the gullible American reading audience that is fed the false impression that the African society has a monopoly of social ills. Finally, I see this review/essay you told me about. "The more gory and pathetic the story line,the greater media coverage the book gets. "- So apt! I totally agree with you on everything you wrote here. I'm happy it wasn't just an example from an Ibo man you cited, hence our Ibo counterparts may have thought you were biased. You Were My Fave, Olu.